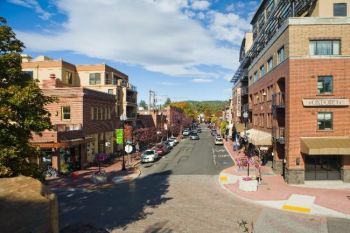 BEND, OR -- Bend City Councilors approved a package of improvements, this week, to address safety concerns downtown. City Manager Eric King says they’ve been trying to address rising crime for several years, but the problems are multi-dimensional. "Yes, there is an enforcement component, and some coordination between Bend Police Department and the DA. We’re also partnering with the county in providing better mental health and drug and alcohol services. Our officers are spending a lot of time on mental health calls and we need a more efficient way to deal with that, so things are in the works right now. Those are more in the long-term category. But, this is not just an enforcement problem." King tells KBND News there was broad support for the package of action items approved at this week's Council meeting. Improvements range from short term fixes to long-term projects. "They involve things like private security and security cameras in strategic locations; some physical improvements to the area, including removing garbage enclosures that are an attractive nuisance; and some longer term items, like reconfiguring the Mirror Pond parking lot to really prevent some of the activity that we’re seeing." Some changes have been in the works for a while, but others are in response to recent resident and business owner complaints and suggestions. "Things like a pressure washer downtown, to really clean up the sidewalks and again encourage folks to move on; amending some of our codes to really clarify our codes to really clarify obstruction, to prevent obstruction; and then, posting some signs for ‘no overnight parking’ along parks that are adjacent to the river. We’re seeing more camping along the river." King says some changes won't cost any extra, but the city plans to spend between $90,000 and $105,000 on the overall package. Much of that money will come from savings found in the 2016-17 budget. To listen to our full conversation with Bend City Manager Eric King, visit our Podcast Page or click HERE.